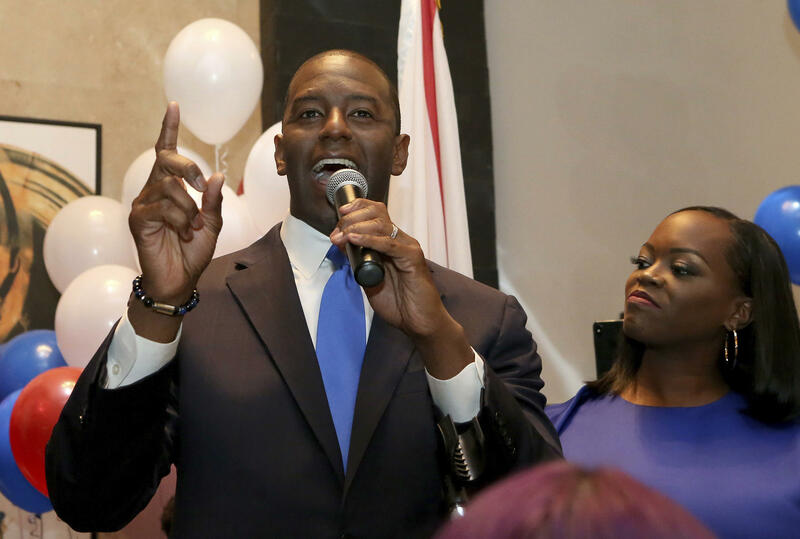 Andrew Gillum with his wife, R. Jai Gillum at his side addresses his supporters after winning the Democrat primary for governor on Tuesday, Aug. 28, 2018, in Tallahassee, Fla.
Sanders tweeted his congratulations to Gillum shortly after his victory was announced. 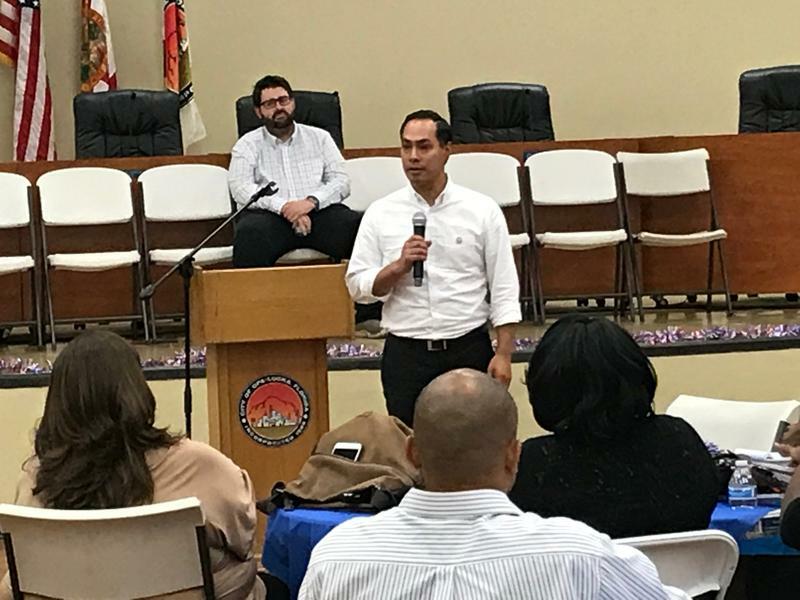 "Floridians joined Andrew in standing up and demanding real change and showed our nation what is possible when we stand together," said Sanders. 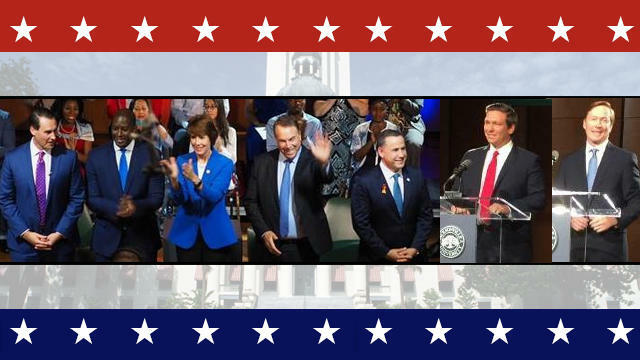 Levine threw his support behind Gillum in a concession speech. 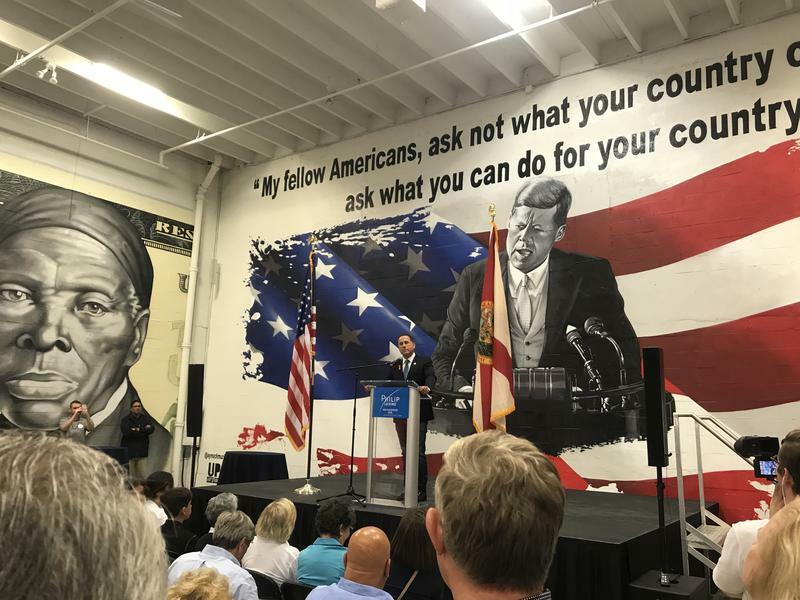 “The new Florida is rising in front of us, and we’re going to be behind him 100 percent,” he said. 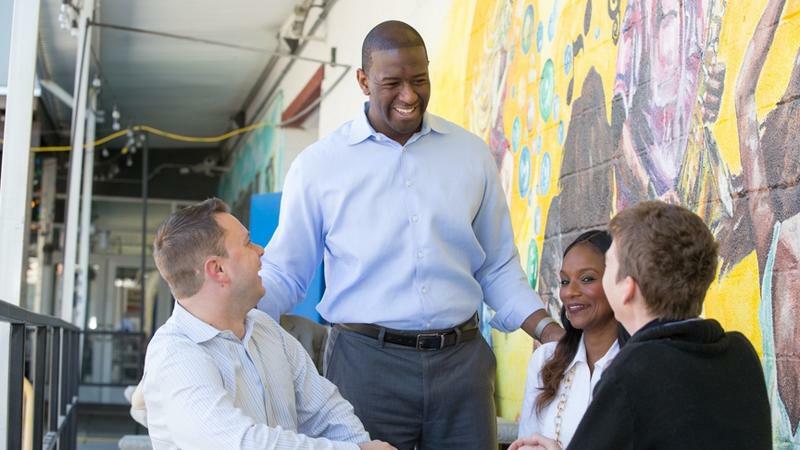 Greene also issued a written statement supporting Gillum: "I don’t regret a moment or a dollar spent on this election...I am proud to get behind our nominee, Andrew Gillum. 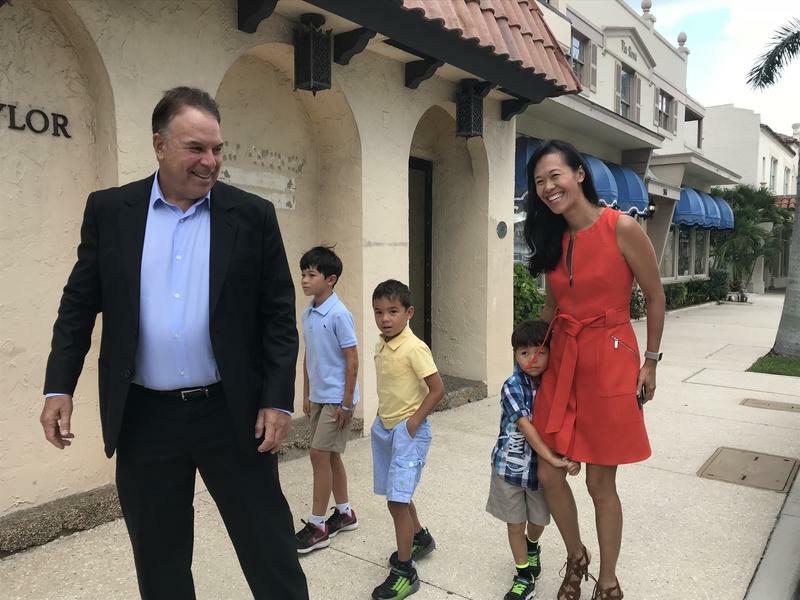 Andrew is a progressive young leader who brings voice and vision for Florida, and I support him 100 percent." 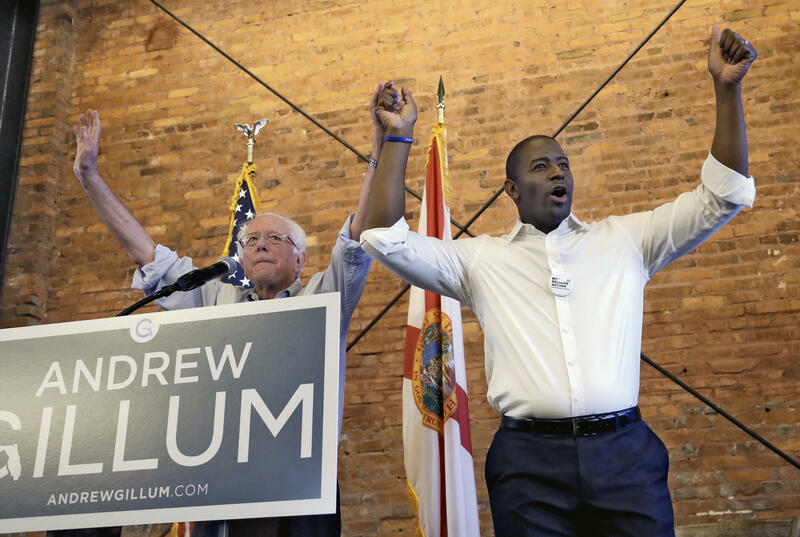 U.S. Sen. Bernie Sanders, I-Vt, left, and Democratic gubernatorial hopeful Andrew Gillum hold hands during a campaign rally Friday, Aug. 17, 2018, in Tampa, Fla.